Today’s ghost story comes straight to us from the University of South Carolina. Excerpted from Haunted Halls of Ivy: Ghosts of Southern Colleges and Universities, by Daniel W. Barefoot, this tale might make you reconsider walking across the Columbia, S.C., campus late at night. Haunted Halls of Ivy contains 39 supernatural tales from colleges and universities throughout the South, including some of the region’s oldest, largest, and most famous institutions. At Belmont University in Tennessee, you’ll visit the mansion haunted by the woman who could out-Scarlett any Southern belle, real or fictional. In the shadow of the University of Texas Tower, you’ll encounter the specters of the victims killed on the day in 1966 when Charles Whitman went hunting for humans. And at the University of Virginia, you’ll hear the footsteps of the professor shot dead back in the days when students openly assaulted their instructors, even at Thomas Jefferson’s “Academical Village.” Indeed, by the time you turn the final page of this book, you’ll have a graduate-level education in the haunts of Southern colleges from Virginia to Texas. If you’re having trouble reading the excerpt below, click to read the passage in full screen or on Scribd. 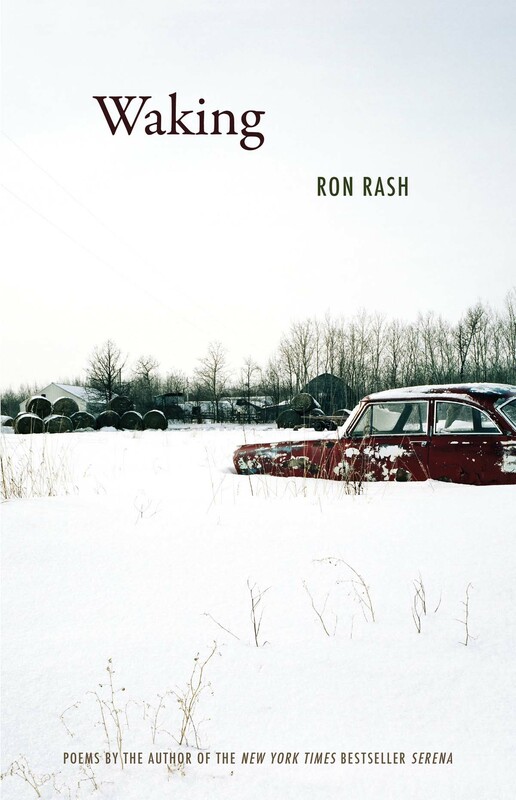 And be sure to check back next week to read and enter to win one more ghost story collection. To celebrate next week’s ghoulish holiday, we’re sharing three excerpts from some of our best-selling ghost story collections. First up, “The Flaming Ship of Ocracoke,” a story first published in a story collection of the same name, then later in Pirates, Ghosts, and Coastal Lore, both by Charles Harry Whedbee. If pirates and spooky occurrences are your thing–particularly on the Outer Banks of North Carolina–you’ll love this tale. And the best part? We’re giving away a free copy of Pirates, Ghosts, and Coastal Lore! Just leave a comment below or on this post of our Facebook page–we’ll choose a winner at random on Oct. 31 and ship the book straight to them (U.S. mailing addresses only, please). Perfect for those autumn campfires! Enjoy! (If you’re having trouble reading the excerpt below, click to read the passage in full screen or on Scribd.) And be sure to check back frequently before Halloween to read and enter to win some of our other best-selling ghost tales. 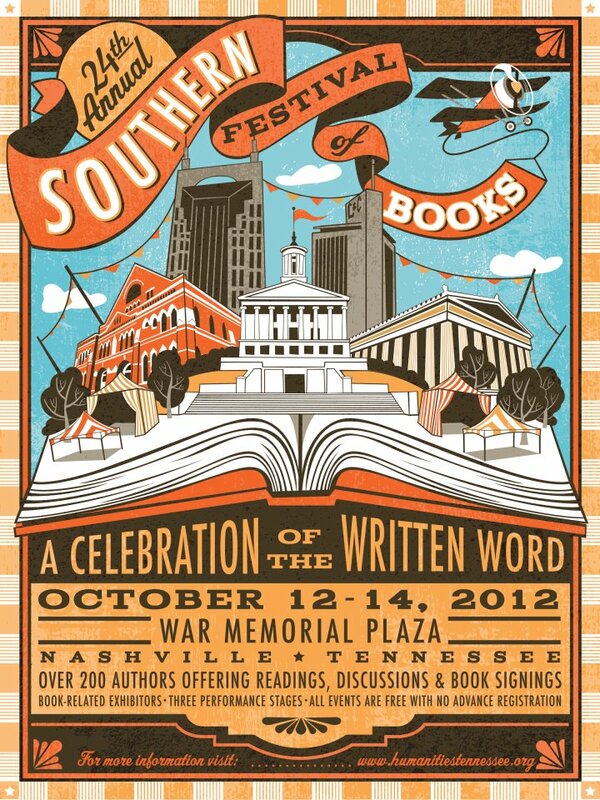 Last weekend John F. Blair staffers headed to Nashville for the 24th annual Southern Festival of Books. As vice-president of sales & marketing at John F. Blair, Publisher, I always look forward to this book festival, which is as much fun as it is work. 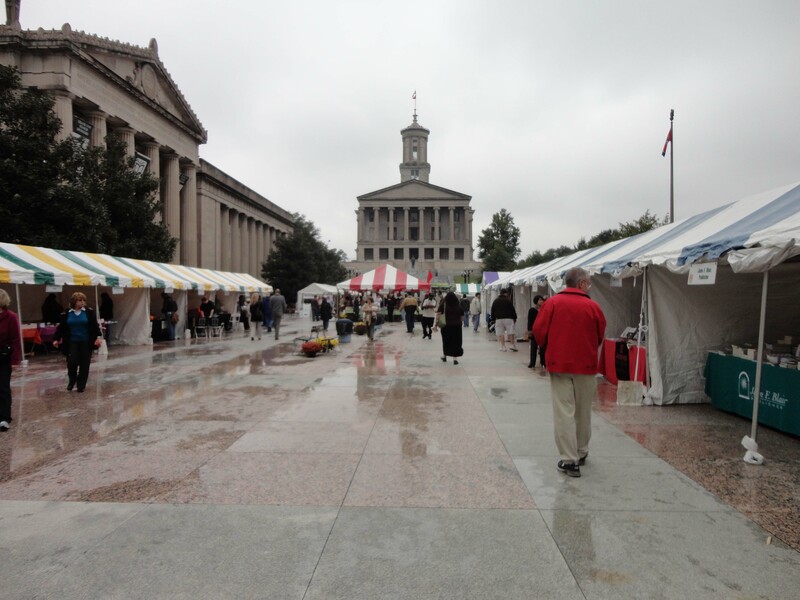 Each year, I know the festival will host plenty of Boast-worthy Authors, many of whom I will see in person, that I’ll see some of my favorite repeat customers and friends from the area, and that I’ll have a heck of a time enjoying all the city of Nashville has to offer—after hours, of course. This year, quite a few Blair authors were part of the festival’s program, as well as some of our distributed publishers’ authors. Our booth’s location at the festival was fabulous—we had a corner booth next to the Chapter 16 stage and at the top of the stairs leading down from the plaza. A wonderful woman selling Izzi sorbet was set up nearby. Legislative Plaza on Friday afternoon – don’t slip! 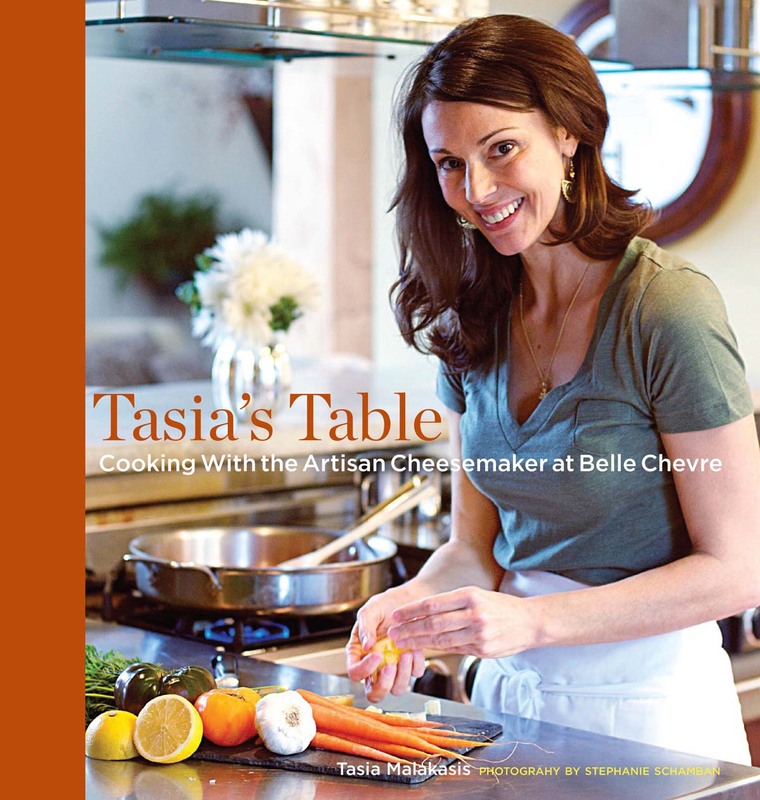 On the schedule for Friday were Tasia Malakasis, cheese-maker and owner of Belle Chevre and author of Tasia’s Table (NewSouth Books; $29.95 hardcover); Frye Gaillard, author of The Books That Mattered (NewSouth Books; $27.95 hardcover) and winner of the Clarence Cason Award for Nonfiction in 2012; and Judy Goldman, author of the acclaimed memoir Losing My Sister (John F. Blair, $21.95 hardcover), which has received fabulous reviews in Publishers Weekly, Library Journal, and the Charlotte Observer. We enjoyed catching up with Judy Goldman at our booth, where she entertained us with her story of a recent nightmarish hotel stay. A brutal fist-fight broke out in the hall outside her door at 2 a.m. in a hotel outside of D.C. Eek! 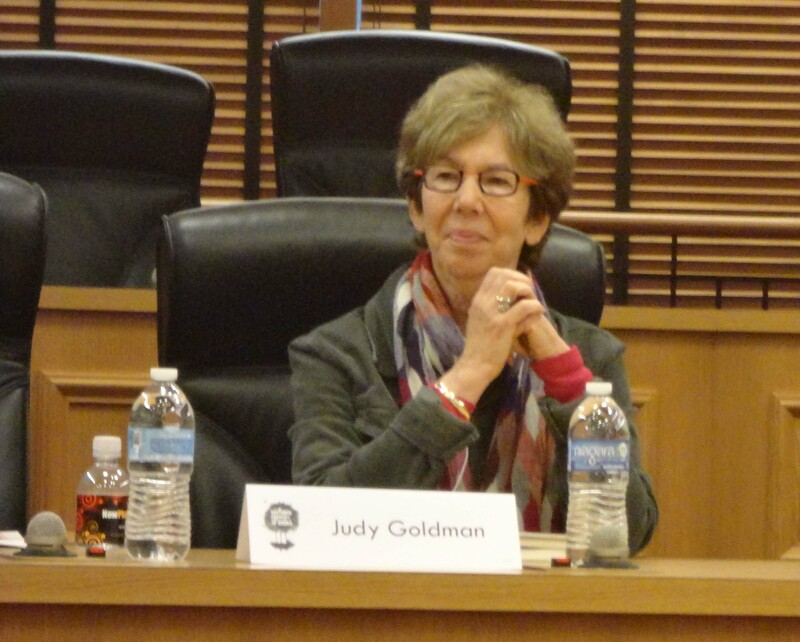 Judy Goldman speaks to the audience at her panel about the art of writing memoirs on Friday afternoon at Southern Festival. 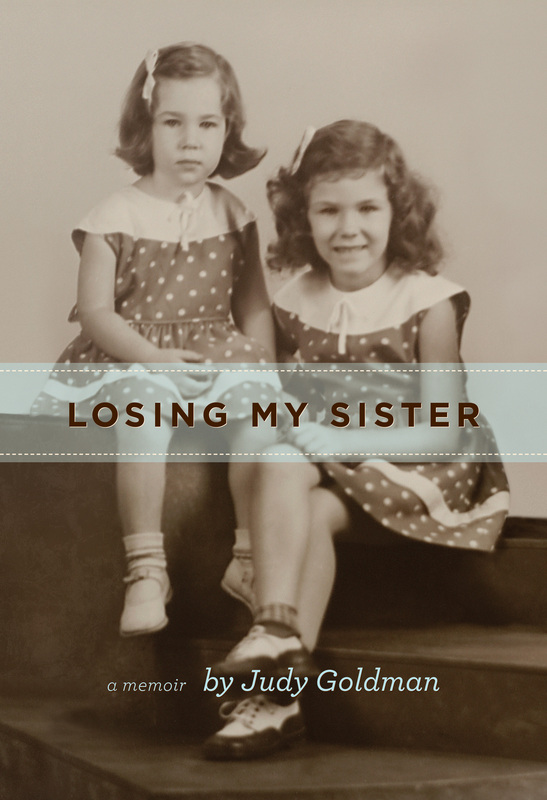 Fun fact #1: Did you know Judy Goldman’s daughter designed her book jacket? We have 10 signed copies of Waking – order now! 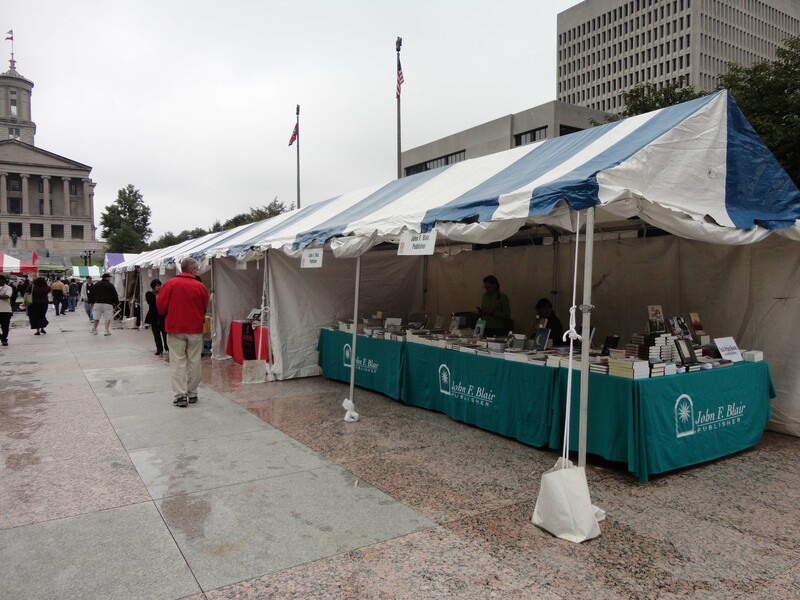 Friday started out chilly and damp, but that didn’t stop loyal festival fans from showing up to shop and see their favorite authors. Friday night, Margaret and I took Trisina, our sales & marketing intern who recently moved to Winston-Salem from Tampa, on a short tour of downtown Nashville. We walked up and down Broadway and showed her around Second Avenue and Printer’s Alley. We dined at Big River Grille & Brewing Works on Broadway next to the Cumberland River and tried a couple of their house brews, their Oktoberfest and IPA, in particular. We were chatted up by a couple of older men while we sat at the bar, waiting for our table, and Trisina and I were carded! After dinner, we went to Diana’s Sweet Shop, a candy store, where to our amazement, Trisina showed us that you can ask for your candy apple to be sliced upon order! Who knew? 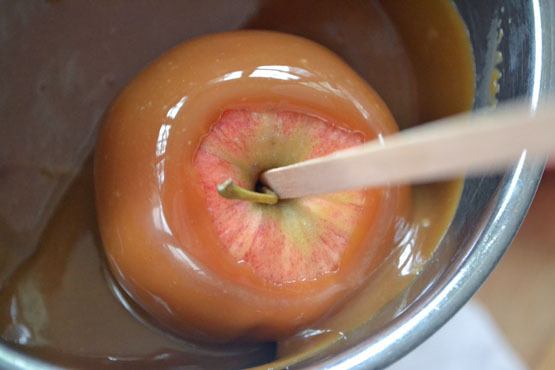 I must now take a moment to wistfully recall the many candy apples I’ve declined to eat throughout my life because I thought it would be too messy…sigh. Saturday was a perfect day—warm and mostly sunny with slowly passing clouds. 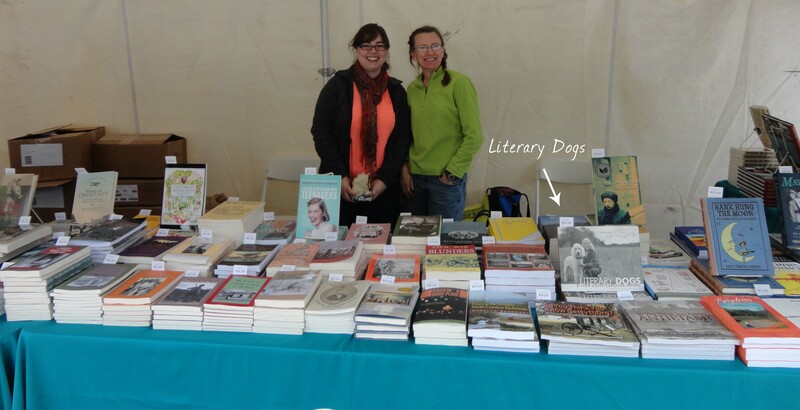 We sold a ton of books—almost literally—and met several festival authors. We have a system where we record each author that visits our booth by highlighting the author’s bio in the festival program. I’d like to tell you how many authors we saw, and which ones, but I lost the program (just like I do every year). Blake Fontenay, author of The Politics of Barbecue, stopped by to visit with us before his panel with Ann Shayne at noon on Saturday. His event was standing-room only, and we sold quite a few books to people who were inspired to purchase a copy after hearing Blake speak about Mayor Pigg and his aspirations to build the Barbecue Hall of Fame in Memphis, Tennessee (where it rightfully belongs). 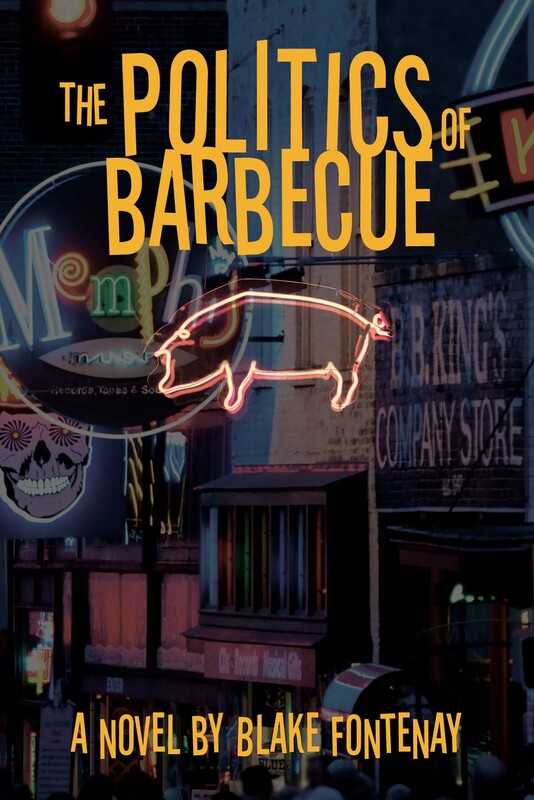 Look for a fabulous review of The Politics of Barbecue in the upcoming holiday issue of Mystery Scene Magazine. I can’t reveal too much of the content of the review until the magazine hits shelves in mid-November, but I will say that the reviewer compares The Politics of Barbecue to William Faulkner’s As I Lay Dying. We met Michel Stone, author of The Iguana Tree, when Betsy Teter of Hub City Press and coeditor of Literary Dogs, came by our booth. I caught up with Michel Stone, Betsy Teter, and Judy Goldman again, later that day, at Gillian Flynn’s discussion of Gone Girl (Gillian Flynn is Boast-worthy Author #2). 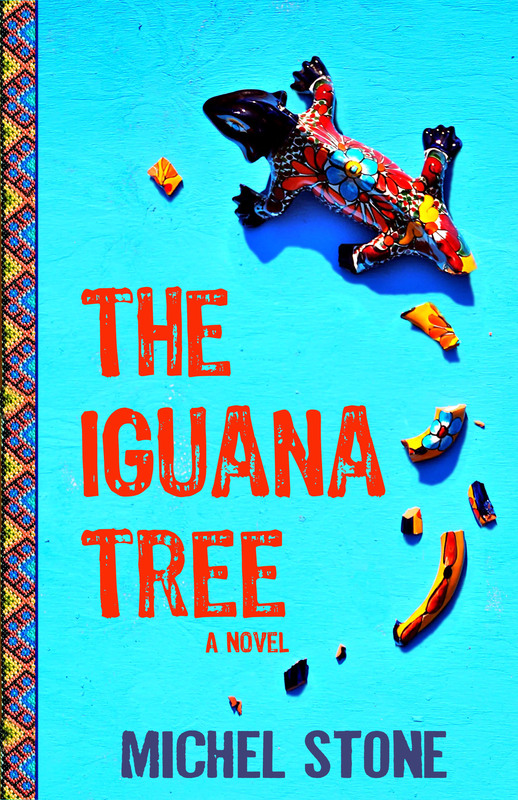 Fun fact #2: Did you know Marshall Chapman’s sister is an artist and painted the image used on the jacket of The Iguana Tree? 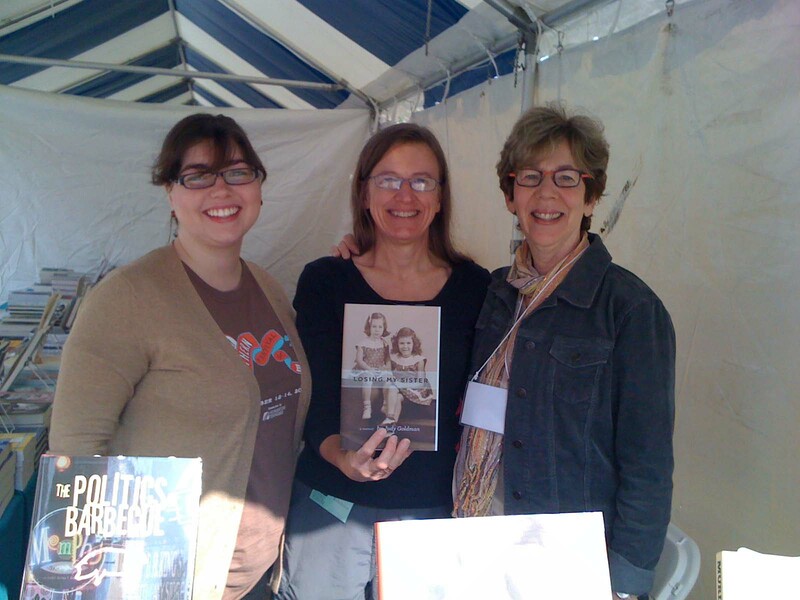 Blair staffers Trisina Dickerson (left) and Margaret Couch (center) pose with Judy Goldman, author of the memoir Losing My Sister. I’ve been a fan of Gillian Flynn since I read her first novel, Sharp Objects. If you haven’t read her books, stop what you’re doing right now and get to it. (Warning: You may call in sick for work the next day if you start reading one of her books on a weekday.) Gillian is adorable and funny, and I’m super jealous that she got to hang out with Johnny Knoxville and the rest of his crew of misfits on the set of Jackass 3—not to mention that whole awesome-suspense-writer thing she has going on. 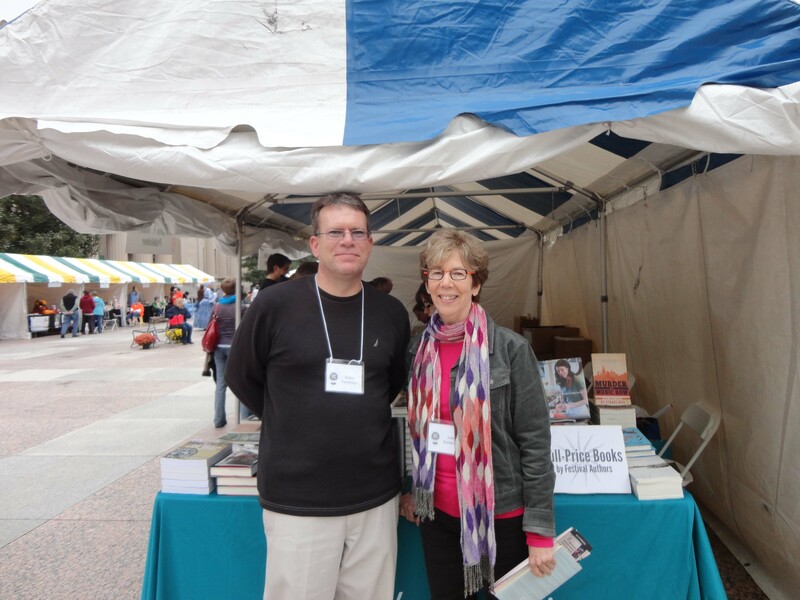 After Gillian’s event that afternoon, I persuaded Judy Goldman and Blake Fontenay to pose for a picture in front of our booth. Trisina (left) and Margaret sell $2 and half-price books at the Blair booth at Southern Festival in Nashville. Saturday evening, we headed to the reception for authors and exhibitors, hosted by Southern Festival at The Arts Company on Fifth Street. There, we mingled with Betsy Teter and Michel Stone and ate a “light” dinner of Goo-Goo Clusters, macaroni and cheese, deviled eggs, and watermelon salad. And we drank more craft beer, Yazoo Brewing Company’s Dos Perros, a beer which deceivingly looks like a dark beer but tastes like a lager—a cool trick which results in more beer for me. (Many people won’t try it because they think it’s a dark beer—not that there’s anything wrong with dark beer.) We met Robert Hicks, author of The Widow of the South and A Separate Country (Boast-worthy Author #4). 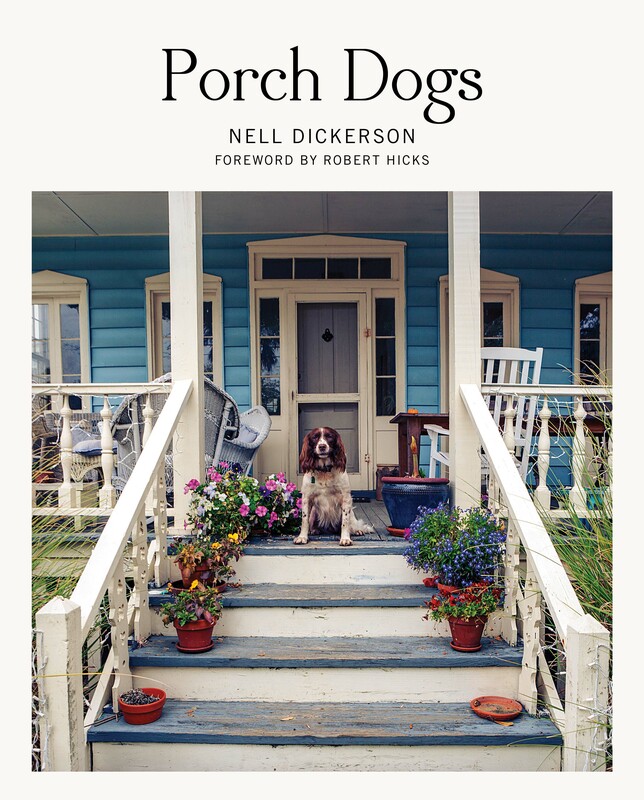 Robert Hicks wrote the foreword to a photography book we are publishing this spring, Porch Dogs by Nell Dickerson—look for it in April 2013. His dog will be featured in the book! 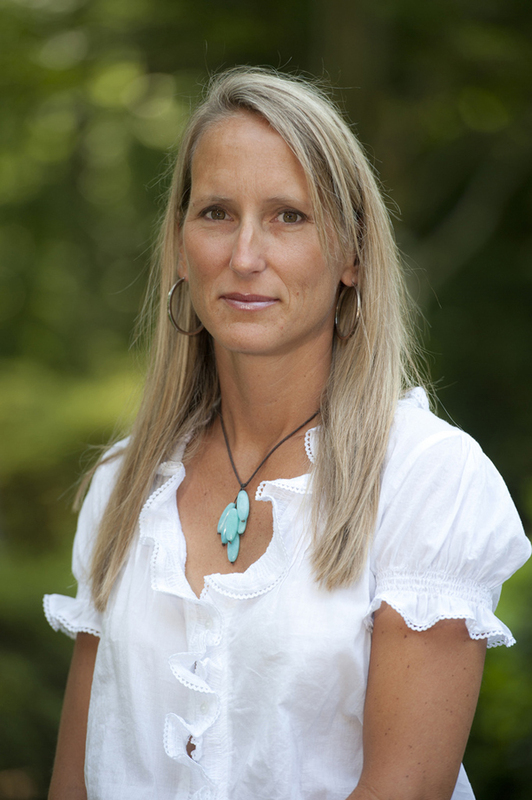 We also saw Padgett Powell, author of Edisto and another contributor to Literary Dogs (Boast-worthy Author #5). 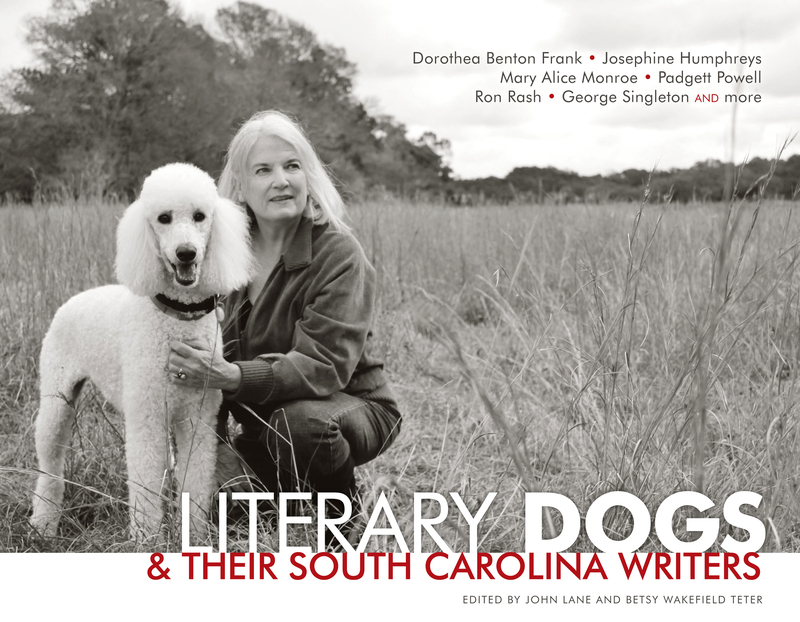 Literary Dogs is now available. On Sunday, our good luck took a turn for the worse. 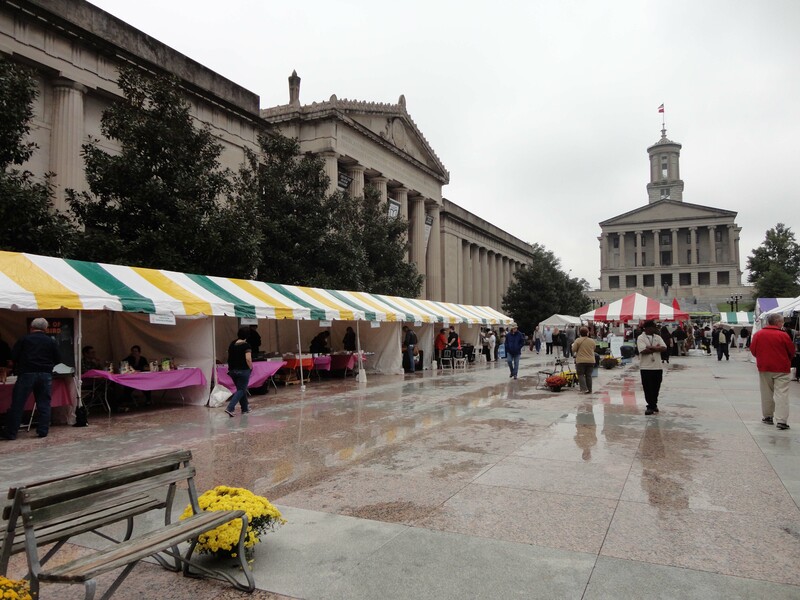 We were expecting scattered thunderstorms but were met with 30 mph winds and collapsed tents when we arrived at Legislative Plaza that morning. One side of our booth was open where the plastic blew away overnight. Thankfully, our books were protected and safe. It quickly became apparent that we would not be able to open our booth for the day’s events. With much reluctance, wavering, and hem-hawing (mostly from Margaret – who almost blew away walking to the car), we packed up our booth and headed home early. 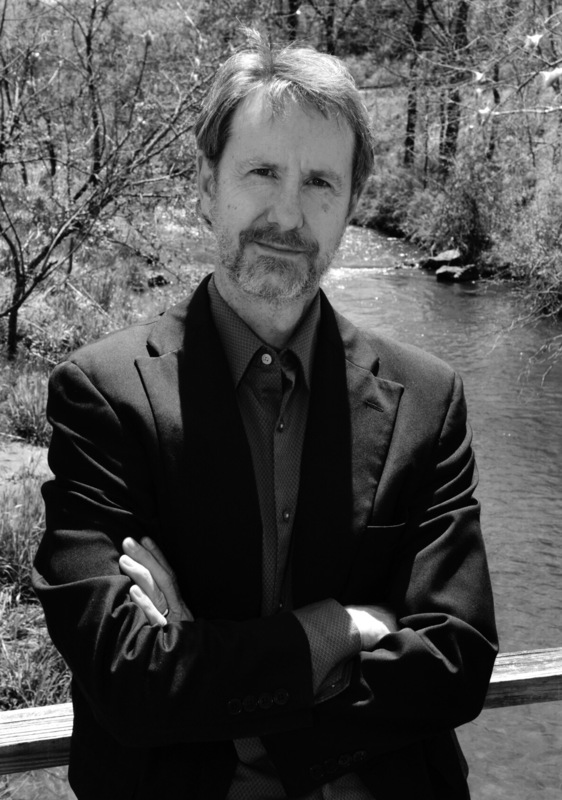 Unfortunately, we missed catching up with Stuart Dill, author of Murder on Music Row, who was scheduled for a panel on Sunday. 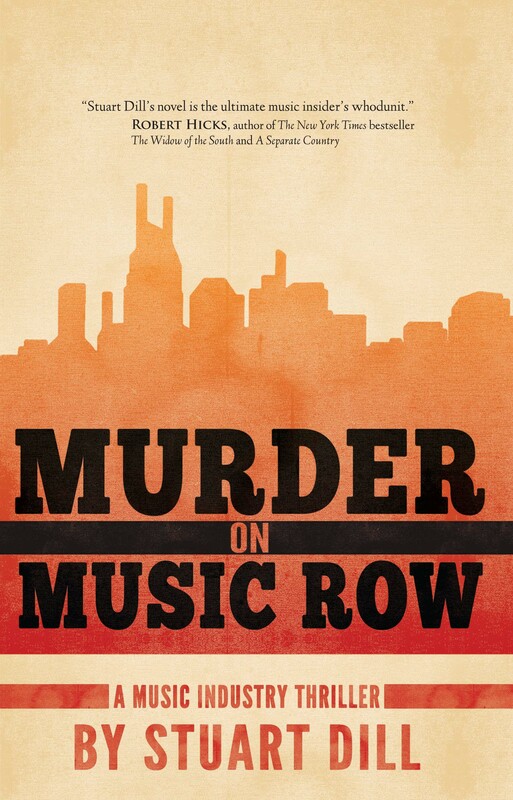 We sold several copies of Murder on Music Row on Friday and Saturday. Despite the crazy weather, we still had one of our best years in sales. Margaret, Trisina, and I stayed in Knoxville Sunday night on our way back to Winston-Salem. With all the extra time on our hands, we decided to go see Pitch Perfect, which turned out to be “occalarious” and a fitting end to our weekend. We got back to the hotel in time for me to catch the replay of the season premiere of The Walking Dead, while Margaret continued catching up on Friday Night Lights on Netflix, and Trisina watched a recent episode of Doctor Who. We didn’t have to fight over the remote! This year at Southern Festival I saw eight Boast-worthy Authors, tried four new (well, new to me) craft beers, caught up with old friends and met a lot of new people, and I finally saw Gillian Flynn. (I wanted to see her at BOOKMARKS in Winston-Salem, but the festival date overlapped with the SIBA Trade Show this year.) And I created Blair’s Sales Rep of the Month Award. Not a bad weekend, I’d say, not a bad weekend at all. Blog-reading bonus: The first person to respond with the correct number of times I mention Literary Dogs in this blog post will win a free copy of the book. Before we get started, I want to take a moment to introduce myself. I’m the newest addition at John F. Blair, Publisher, and so thrilled to be involved with such a creative and talented team. Originally from Salt Lake City, Utah, I moved to Tampa, Florida, three years ago to study poetry as a graduate student. I then attended the Denver Publishing Institute where I met Carolyn Sakowski, President of John F. Blair. She has lots of Southern sass, and I instantly fell in love with the prospect of working for her. Now, as the new Sales and Marketing Intern, I’m learning a lot about the publishing industry and getting more familiar with our many great titles. And as fall approaches (a season I haven’t experienced in a while), I’ve gotten really excited about John F. Blair’s new cookbook Chefs of the Mountains. Because I’m new to North Carolina (only four weeks in) and have yet to explore the state’s great sights and sounds, Chefs of the Mountains is the perfect introduction. 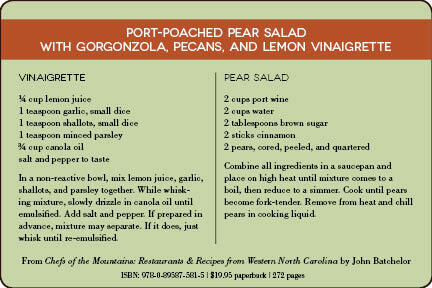 The book travels through North Carolina’s mountain towns, spotlighting great restaurants, chefs, and recipes. Whether a native or a newbie to North Carolina, readers can explore the best of the mountains right in their own kitchen. This weekend I experienced The Table at Crestwood in Boone, NC, through Chef Matthew Barlowe’s recipe for Port-Poached Pear Salad with Gorgonzola, Pecans, and Lemon Vinaigrette. In a non-reactive bowl, mix lemon juice, garlic, shallots, and parsley together. While whisking mixture, slowly drizzle in canola oil until emulsified. Add salt and pepper. If prepared in advance, mixture may separate. If it does, just whisk until re-emulsified. I’ve always been a big proponent of homemade salad dressing. The ingredients are few, the time minimal, but the payoff always big. Our local grocery store was out of shallots so I used green onions instead. Nonetheless, the lemon vinaigrette (seen on the right in a jar) had a great tangy flavor enhanced by garlic, parsley, and green onion. Combine all ingredients in a saucepan and place on high heat until mixture comes to a boil, then reduce to a simmer. Cook until pears become fork-tender. Remove from heat and chill pears in cooking liquid. Poaching the pears in port wine was my favorite part of the recipe; the scent of cinnamon port filled my house. Like making the salad dressing, the process was easy: quartering the pears, combining all the ingredients in a saucepan, and letting them simmer until the smell was irresistible. Toss greens in vinaigrette and place them on plates. Top each salad with 1 tablespoon each of pecans and Gorgonzola crumbles. Strain pears from cooking liquid and place to the side on plates. Once the pears cooled, I tossed the salad in lemon vinaigrette, added gorgonzola and blackberries, and devoured. Since I’m not a huge fan of nuts, I left out the pecans and was happy to find the salad was amazing without. The pear’s sweetness perfectly combined with the dressing’s tartness. The verdict: an excellent dinner salad that can be made ahead of time and consumed for days. I will definitely return to this recipe often! 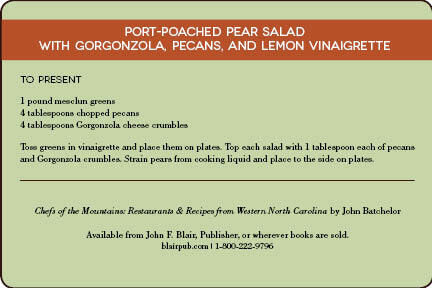 John Batchelor will be signing books at the Chefs of the Mountains launch event tomorrow evening. John Batchelor is holding several events across North Carolina with chefs highlighted in the book. For more information, please visit our events page.